Once again this year, working under the supervision of Dr. Nicole Li-Jessen, a team of five students from the McGill Faculty of Medicine’s School of Communication Sciences and Disorders have come together to organize a series of activities around an international event, World Voice Day, including a voice screening by speech-language pathology students on April 9 and a public seminar with a team of voice experts on April 13. The free voice screening will be offered from 2:30 to 6:00 p.m. in the Strathcona Music Building (555 Sherbrooke St. W) on April 9. Voice questionnaires, a perceptional voice evaluation and a computerized voice analysis will be included in the screening test. “This year we will also include a new questionnaire, called Reflux Symptom Index, as well as some lifestyle questions related to LPR in our voice screening. Reflux Symptom Index is clinically validated and used in many voice clinics,” says Yasmin. 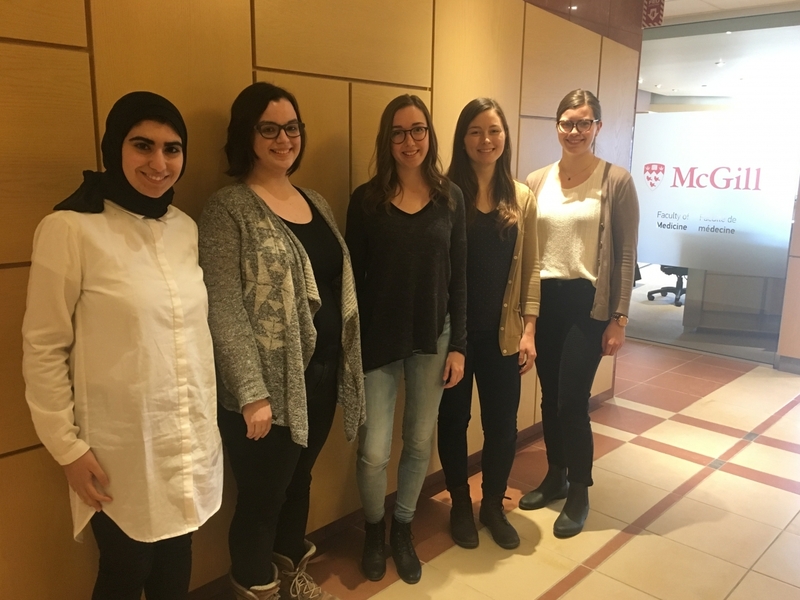 “We will use the screening test results to inform participants what the risk factor of LPR is for them and we will provide relevant information on LPR prevention as appropriate.” The team has recruited 12 of their classmates to maximize the number of people they can provide screening for. 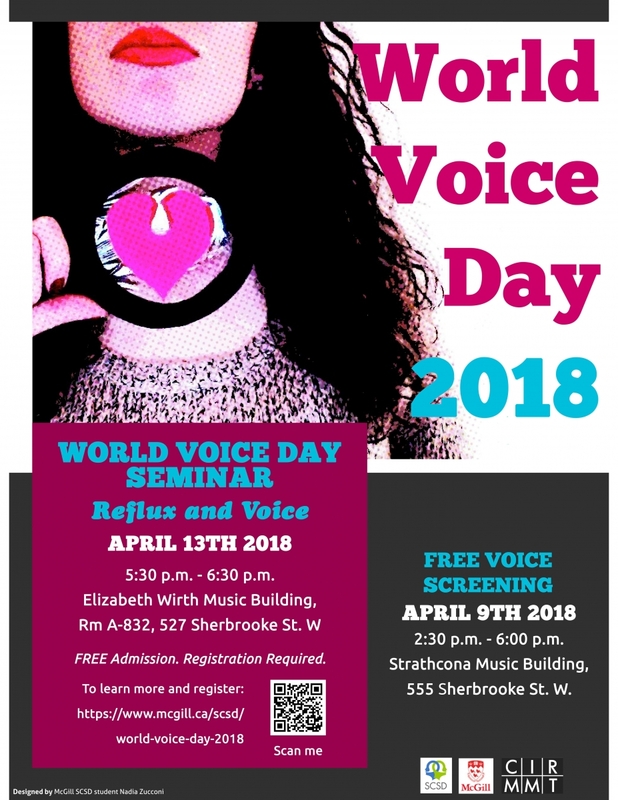 The theme of this year’s World Voice Day seminar, taking place from 5:30 – 6:30 p.m on April 13 in the Elizabeth Wirth Music Building (527 Sherbrooke St. W, room A-832), is “Reflux and Voice.” The seminar will include presentations and an expert roundtable session featuring an ear, nose and throat specialist, a singing professor and a speech language pathologist who will provide specific information about LPR in addition to general information about taking care of your voice and an opportunity to ask questions. Free registration is required for the seminar. The World Voice Day at McGill is generously supported by School of Communication Sciences and Disorders, Centre for Interdisciplinary Research in Music Media and Technology, Schulich School of Music and Department of Otolaryngology-Head and Neck Surgery.